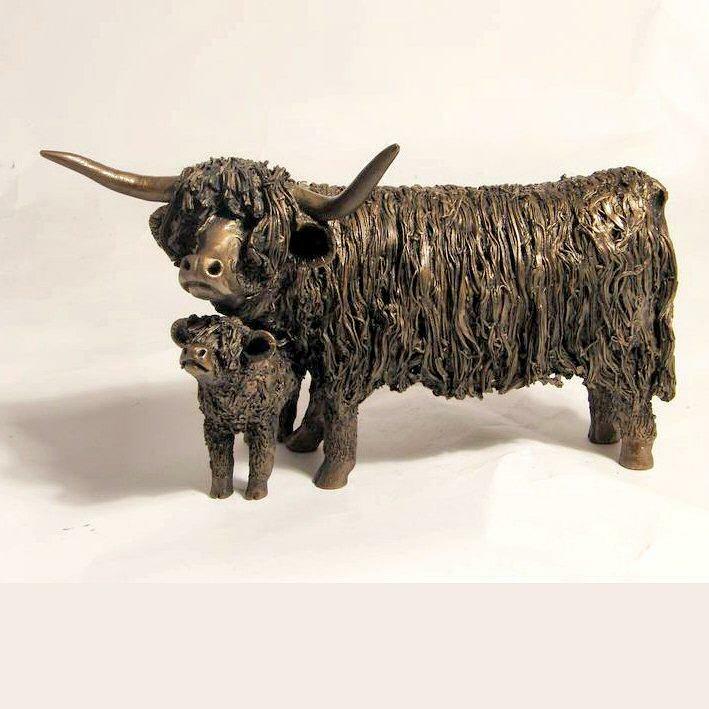 Highland cow with its calf standing together from the Frith collection - crafted in bronze by master animal sculptor Veronica Ballan. This famous breed originated in the Highlands and Outer Hebrides islands of Scotland as long ago as the 6th century. With their unusual horns and highly distinctive shaggy coats, Highlanders are often likened to bison or the ancient woolly mammoth. Celebrate these unique animals with this substantial, and beautiful sculpture in hand finished, cold cast bronze - a worthy addition to any collection or a fine gift. Supplied securely boxed and packaged.